Just Breathe blogging. : Sano Care Vitamin C Serum review! Sano Care Vitamin C Serum review! Hello everyone! 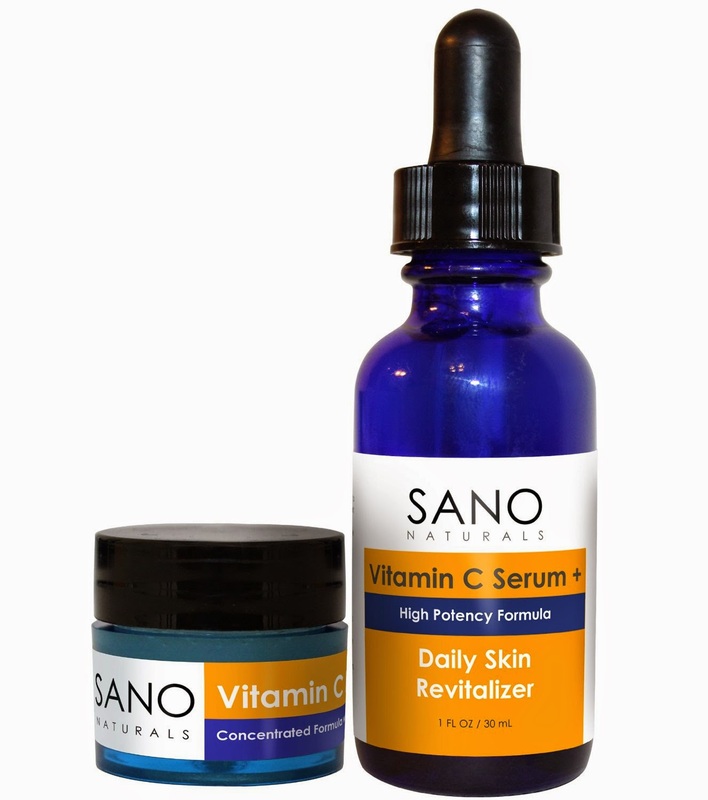 I had the pleasure of trying out the Sano Care Vitamin C serum daily skin revitalizer and eye cream. I try not to put products on my face because of my very sensitive skin but I had done my research prior to trying this serum and had not found any cases of sensitive skin problems. The Sano Care Vitamin C serum contains hyaluronic acid organic aloe instead of water to help bind the Vitamin C together. This combo really makes all the difference to make this serum worth while. Unlike other serums, Sano Care's serum is 20% Vitamin C and hyaluronic acid. It does not contain and artificial fragrances and does not feel oily on your skin. This product contains 100% natural ingredients for the very delicate skin we have on our faces. The directions say to apply this on a clean face, neck, and chest area twice a day and can be used safely under a moisturizer or your make up. I follow a regimen of washing my face when I wake up, use the serum, the eye cream, and then a moisturizer and finally my make up, if I even put any on that day. The Vitamin C serum is not oily like lotions or some creams, it is literally a serum and dries in seconds after contact with your skin. The Vitamin C eye cream is thicker than the serum but it also dries very quickly and makes your under eyes and forehead look a lot tighter. Using a moisturizer on top of the serum is completely up to each individual person but my skin is super dry, especially in the winter, so it is just part of my day to day routine. If you didn't remember putting on the serum, you wouldn't realize you had anything on your face because your skin feels fantastic after it dries! After about a week of using this product, I realized that my skin looked amazing and it wasn't as dry as it used to be. My face and neck felt softer and looked clearer than before. I was absolutely nervous to try something on my skin and break out but I had no adverse effects from this serum at all. The eye cream that came along with the serum also made a difference, making my skin more moisturized than ever before. This product is definitely worth its price, making my skin feel softer than a baby's. I loved the way it made it feel and look. My face was moisturized and looking clearer than before. The consistency of the serum and cream weren't thick and gooky like other lotions that I have tried before. I absolutely recommend this serum for anyone who is looking to make their face look younger and feel moisturized. 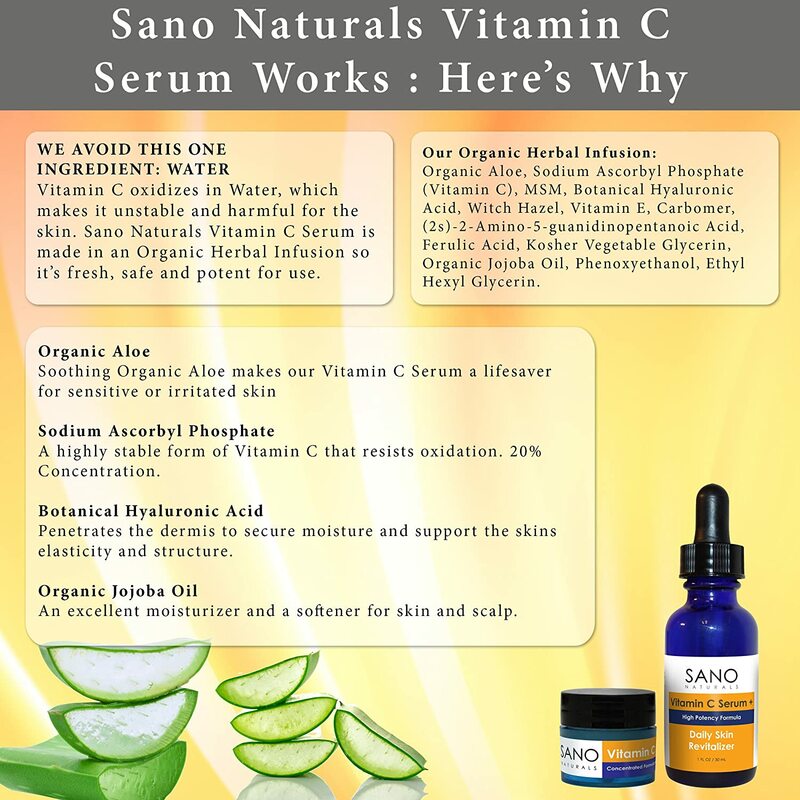 Sano Care Vitamin C serum and eye cream is the product that your face would love! If you would like to purchase the Sano Care Vitamin C Serum with free eye cream from Amazon, click here. I received this product free for testing purposes only. My #review is 100% my own opinion.